Home > Entranceexam > ICM Dehradun BBA And MBA Admission 2018- Application Starts! ICM Dehradun BBA and MBA Admission 2018- Application Starts! ICM Dehradun BBA MBA Admission will be based on the score of Class 12/ CAT/MAT/XAT/CMAT examination. For admission, the candidates can also participate in Group Discussion and Personal Interview announced by the institute time to time in Newspaper and websites. Candidates seeking admissions are advised to keep a check on this page for latest updates on ICM Dehradun admissions. 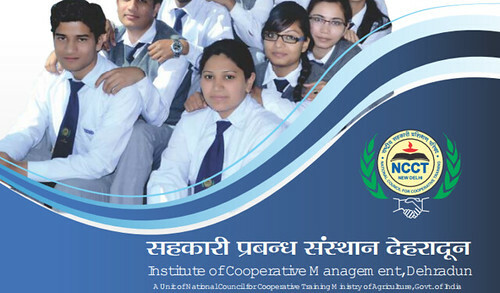 Institute of Cooperative Management was established in the year of 1965. This institution functions under the National Council for Cooperative Training (NCCT) with Linkages with various National and International Organization. 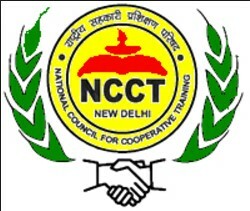 National Council for Cooperative Training has been constituted by the National Cooperative Union of India under its bye-laws with the concurrence of Government of India, Ministry of Agriculture, Department of Agriculture and Cooperation. Candidate must clear his/her bachelor degree with 50% marks in any stream from UGC recognized University. At least 45% marks in case of students belong to SC/ST category. A valid score of CAT/MAT/XAT or CMAT conducted by the concerned institutions. Students appearing in the final year of bachelor degree may enroll through provisional admission but his/her Admission will be confirmed in the department after providing final year aggregate marks certificate. The student must pass his/her 10+2/Intermediate in any discipline from a state or central Board of Education, with not less than 45% marks in aggregate. Students perusing intermediate can also get provisional admission through enrollment in the department but his/her admission will be confirmed after submitting relevant Marks Certificate. Students belong to SC/ST Category must clear his/her intermediate with at least pass marks. Online Mode: To fill the application form online, candidates have to visit the official website of the institute or can click on the following link. Offline Mode: Candidates have to download the application form from the official website of Institute of Cooperative Management, Dehradun or download the form from the link given below. The admission of the student in the MBA course will be based on the score of CAT/MAT/XAT/CMAT examination. And the admission in BBA course, candidates must clear their 12 class examination in any discipline from a state or central Board of Education, with not less than 45% marks in aggregate. Institute of Cooperative Management, Imphal Cooperative Complex, Lamphelpat, P.O.-Lamphel, Pin-795004, Manipur. Dhananjayrao Gadgil Institute of Cooperative Management, New Nandanwan, ICM Bus Stop, Nagpur.